The first and easiest of three consecutive par fours, the 3rd hole offers an excellent opportunity to pick up a stroke against Old Man Par. The prevailing wind is behind the player, and the longer hitters regularly take a chance by going for the green with their drive. For the rest of us mortals, the best play from the tee is just right of the fairway bunker. 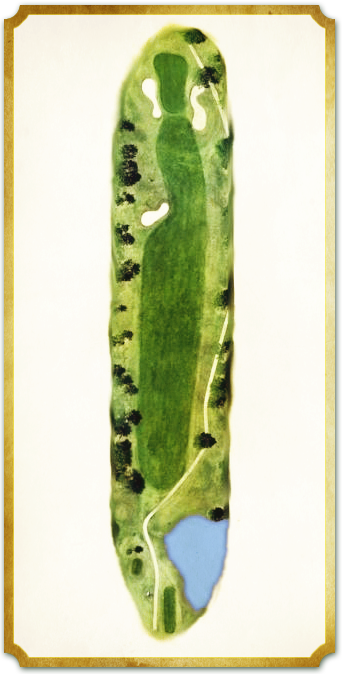 The narrow green is almost 40 yards deep, making club selection on the approach critical to writing a birdie on your scorecard. Any putt over 10 feet will catch at least one of the subtle breaks of the green, making holing a long bomb a difficult prospect.